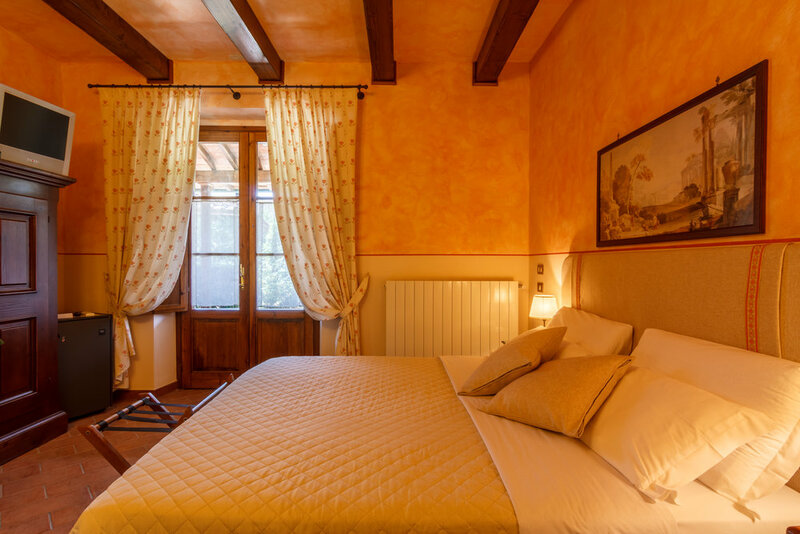 In all our rooms you will find the taste of the Tuscan countryside, while enjoying all the modern commodities. Private bathroom with shower, toiletries, and hair dryer. Cancellation policy: There will be no cancellation fees 24 hours prior to reservation. One night will be charged within the 24 hours. For earlier departures, 30% of the remaining reservation will be charged. Tuscan Suite: Suite with living room, two bathrooms and private entrance from the garden and direct access to the swimming pool. Kettle with a selection of herbal teas. Available with king-size bed, extra bed/s on request. Deluxe: Room with private entrance from the garden and direct access to the swimming pool. Kettle with a selection of herbal teas. Available with double bed (extra bed/s not available). Superior with balcony: Superior room in hotel with private balcony and kettle with a selection of herbal teas. Available with a double or twin beds, extra bed on request. Standard Room: Standard room in hotel available with a double or twin beds, extra bed on request. Single Room: Single room in hotel available with queen size bed.